Tuesday, January 16, 6 – 8:30 p.m. This can be taken as part of the Digital Marketing Certificate or it can be taken as a stand alone course. The course will explore the core elements of building and scaling a modern-day brand no matter your industry or business type. The course will cover an array of topics including breaking down branding misconceptions, marketing theories, how to map your customer journey both online and offline, how to translate your brand DNA into a visual language including design a logo, and scaling your brand through your Wordpress website. 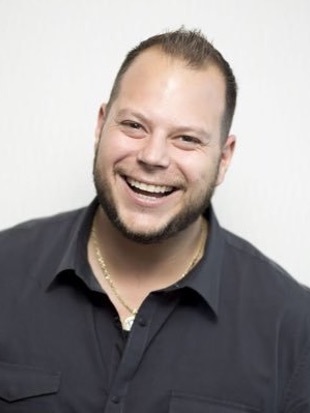 Steven Picanza is a brand architect, business strategist, and marketing director with a core purpose centered around connecting people, products, and organizations with their core audience. Co-founder of the lifestyle brand for the creative entrepreneur, “The Creative Hustler”, Steven is also the Director of Marketing for OpenEye Global, a digital experience design agency as well as being a strategic advisor for The Agency Guy, a business consultancy referring brands of all sizes to the right marketing firm based on capabilities, culture, and strategy. Steven is also the Executive Director of the San Diego Entertainment & Arts Guild, a non-profit group he founded in 2009 which serves the artistic communities of San Diego through education, advocacy, and culture. He also runs a branding consulting company, Latin & Code, with his wife, Melissa.